Wash the chicken and cut it into small pieces. Marinate the chicken with ginger garlic paste and keep it aside for an hour. Some prefer a light touch of yogurt along with the ginger paste to be included while marinating the chicken. Some prefer to refrigerate the marinated chicken for 30 minutes. Cut the onion into thin long pieces and fry it in 1 1/2 cups vegetable oil till they are golden brown. Mix curd, ¾ part of fried onion, red chillier powder, green chillier paste, cinnamon, cardamom, clove, coriander leaves, mint leaves saffron water, salt and remaining part of oil. Add this mixture to the marinated meat and keep it aside for one hour. Cook the basmati rice. When the rice is half cooked, stop cooking. Drain out the water completely. Spread the half cooked rice over marinated meat. The basic idea is to have layers of rice and marinated chicken. Upon the rice layer spread lime juice, saffron color, and remaining part of onion. Cover the cooker with lid tightly and cook on a very low flame for about an 45-60 minutes. Some prefer to cook it in an oven, but an even cooker does just fine. oh this is something i recently have been looking for. can't wait to try it! Feel free to share your views after you have tried this. All the photos on this site are available under the Creative Commons Attribution license. There is a link to the terms at the bottom of every page, but essentially it means you can use content as long as you give credit, no prior permission is required. Tried it and it tastes great. Add more meat for meat lovers. 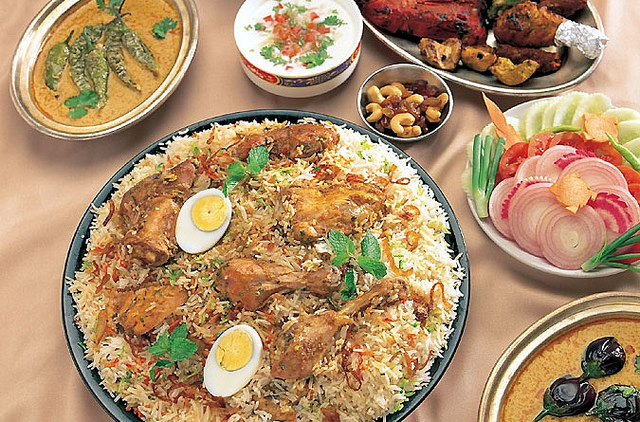 Biryani comes in many flavors, which include chicken, beef, lamb, vegetarian, and shrimp. 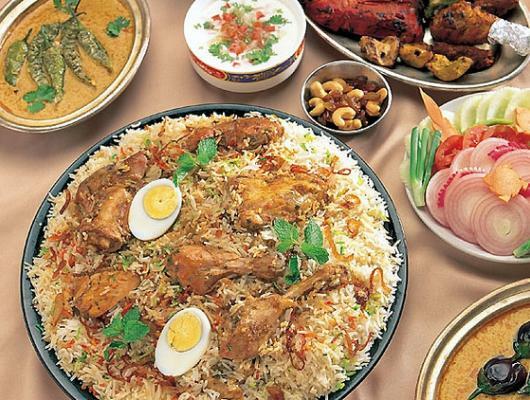 It's a traditional Indian dish made using Basmati rice, meat (or only veggies) and various other exotic spices.